When it comes to your company’s fire alarm and security systems, having a partner you can trust who knows your industry and can deliver the ongoing support your system needs, is critical. From new system design to current system upgrades and maintenance, Gettle is a leading UL-listed fire protection systems contractor across the greater Pennsylvania and Maryland areas. We deliver custom solutions to commercial and industrial clients of all sizes across the region. Our industry certified (ESA and NICET) team has over 100-years of combined experience and as a company, we take pride in our UL-listed certification. Working with a UL-certified partner is increasingly required by municipality codes to ensure optimal system performance. The UL Certificate is an alarm company’s declaration that the alarm system has been installed, and will be maintained, tested and monitored, in accordance to the most up-to-date applicable codes and standards. 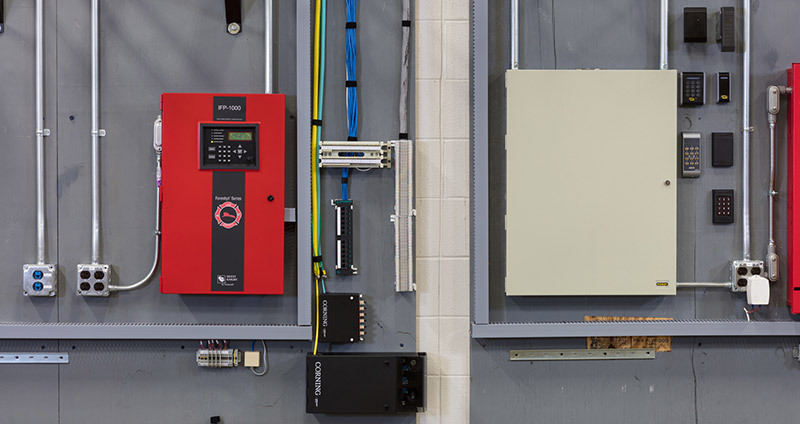 In addition to specialized expertise as a UL-listed fire protection systems installer, Gettle’s capabilities as an electrical and datacom services contractor provide a single source of responsibility capable of managing the full project lifecycle, ensuring optimal system integration and maximum budget and schedule efficiencies. Reach out to learn more about Gettle’s comprehensive fire and security capabilities. Delivering comprehensive electrical and technology solutions for commercial and industrial clients across the Mid-Atlantic. ©2019, Gettle Incorporated - All rights reserved.